Maker of several quality apps for Windows, Mac, iOS and Android have yet again unveiled a brand-new app for iPhone, namely Duplicate Contacts Fixer. This tool helps organize and optimize iPhone contacts list, by searching for any duplicate entries and quickly removing them for a tidy phonebook. The app scans through all stored contacts and lists them in groups so it is easy for users to review the results before deleting anything. Moreover, the app also takes a backup of user’s contacts before scan, and even the deleted entries are saved in a .VCF file. Hence, iPhone users get an organized contacts list without permanently deleting anything. Using Duplicate Contacts Fixer is also easy, just open the app and click on Find Duplicates. Once the scan is complete, duplicate entries will be displayed in groups. Just deselect any entry you want to keep and click on ‘Delete Duplicates’ for a complete phonebook cleanup. 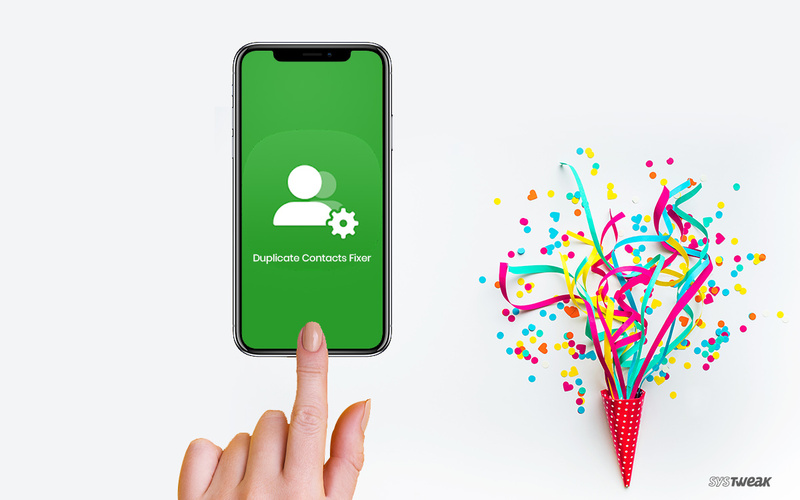 “Duplicate Contacts Fixer is already a trusted product on Android platform and it was essential for us to release this tool for iPhone users as well. We hope it finds the same if not greater response from users. The tool has been kept extremely easy to use so even novice can effortlessly organize their phone contacts.”, said Mr. Shrishail Rana, CEO and Founder, Systweak Software. “Phonebooks can get messy regardless of whether one is using an Android or iPhone. Since we all tend to save the same contact several times, duplicate contacts can make it a little confusing for you to find the right number when you need to. We hope our tool Duplicate Contacts Fixer will help iPhone users manage their contacts list more neatly.” said Mr. Praveen Khanna, Product Manager, Systweak Software. Systweak Duplicate Contacts Fixer is compatible with all iOS devices and can be downloaded from the App Store.